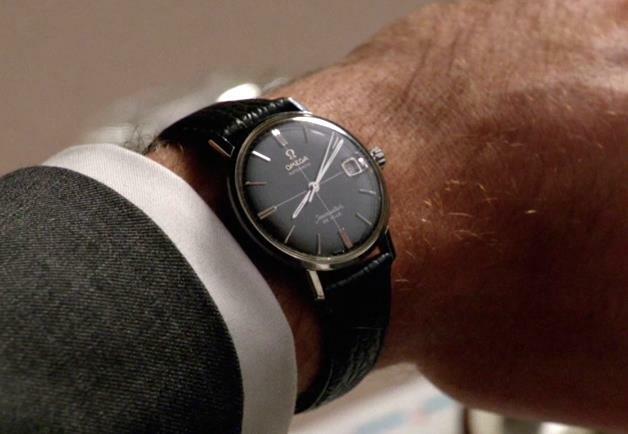 After five seasons now, many watch enthusiasts have been wringing their hands in anticipation for a good enough glimpse of Don Draper”s wrist. We have all wanted to see what watch this 60s leader in style has chosen to wear. Well, all of our patients paid off, and last night (Season 5 , Episode 6) we were rewarded. 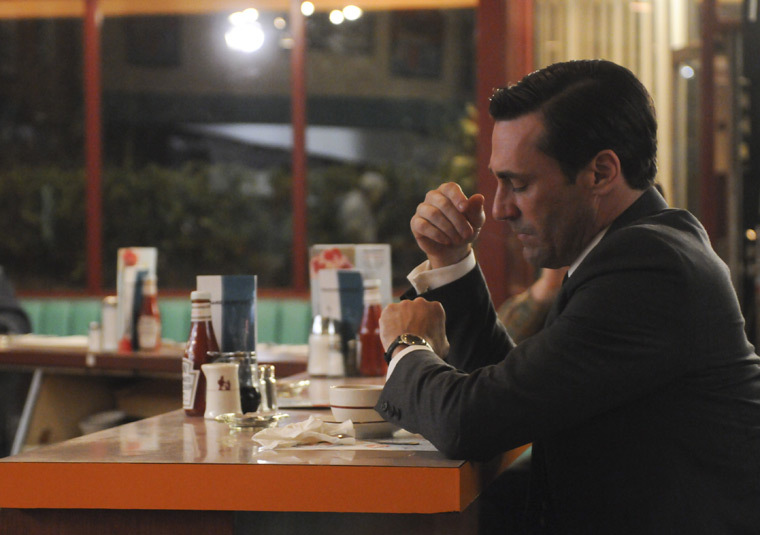 In a scene where Don was waiting for his wife, he took a nice long look at his watch. In what I am sure was a product placement for Omega, we had a unobstructed view of a beautiful early 60’s omega seamaster with a cross hair dial. A gorgeous watch in gold over stainless steel on a black leather strap. When I saw the camera pan across the watch I paused the screen and admired it for a moment. 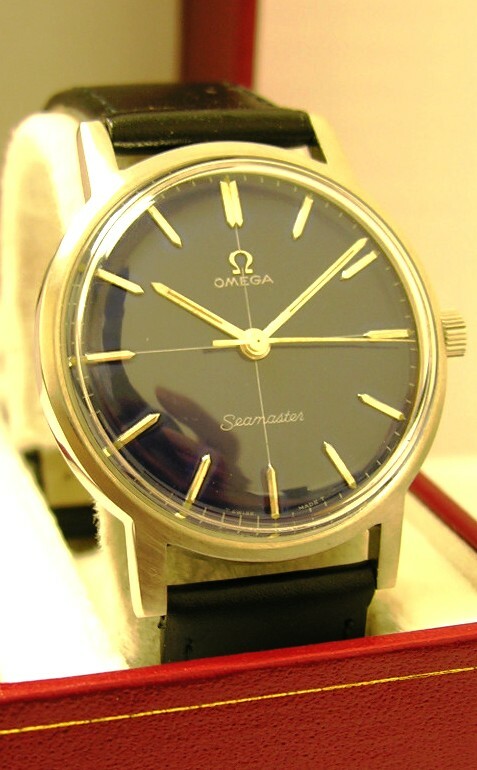 Then I did some searching on the Omega Vintage database and discovered what I believe is the correct model. The cross hair is not a common model so it was easier to distinguish against other watches of that vintage. I believe this piece is a Seamaster De Ville reference number 166.0020, it is an automatic with the 24 jewel caliber 565. 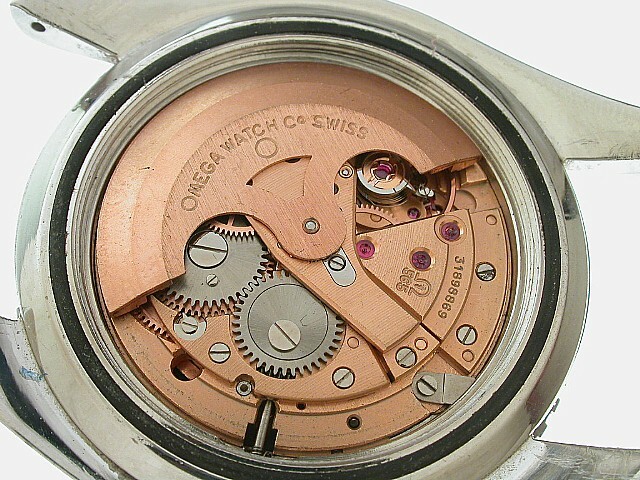 This is a beautiful example of an Omega as the brand was becoming one of the top quality manufacturers in the world. You can still find this watch and similar models online, if you are looking for that vintage look. Sites such as Ebay list many for under $1000. Know what you’re looking for, use the Omega database if you want to be sure of what you’re getting. When you find just the right one, just like Don Draper and his Seamaster cross hair, you’re going to look swell. 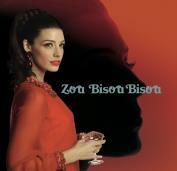 “Zou Bisou Bisou,” which roughly means “Oh, kiss, kiss” in French. It was originally recorded by Gillian Hills, a teen pop star from 1960’s France. There’s also an English version, sung by Sophia Loren for the movie “The Millionairess.” The production company for Mad Men, announced Monday that it has released Pare’s version of the song on iTunes, with a special limited edition vinyl to be sold here. 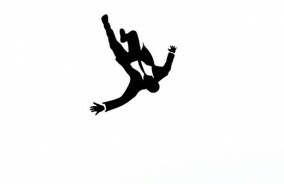 With the season premier, Matthew Weiner nailed it. He chose a song to capture the flavor of what’s going on at that period in the 60’s, and as you pan around the room in the party scene there are some swell dressed characters as well. 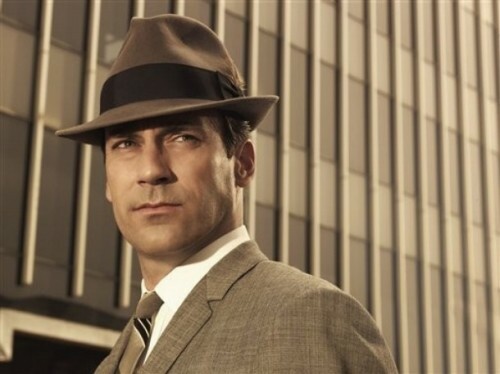 I will say it again, Mad Men is worth a viewing, and no one can argue, if you were serenaded with that song by your sultry wife, that sure would be swell. If you think that Donald Draper is a swell dressed guy, then you have Janie Bryant to thank. Janie is the costume designer for award-winning show, Mad Men. 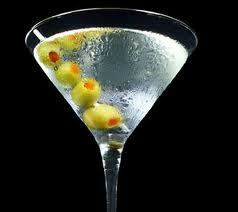 Takes place in the mid 1960’s the show follows the lives and goings on of a team of Madison Avenue advertising execs. This show has been on an extended break giving its fans ample time to build up excitement for season 5 beginning on March 25th on AMC at 8pm central time. The writers and designers have done a fantastic job of recreating that vintage feel in the show. There are incredible sets and costumes for the show all through out. The story is pretty captivating, even though I am not promoting the behavior of some of these characters (how not to be swell). It’s worth a watch, its well written and will immerse you in that period, if only for an hour.